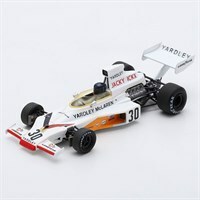 Spark 1:43 resin model of the #30 McLaren M23 as driven by Jacky Ickx in the 1973 German Grand Prix. 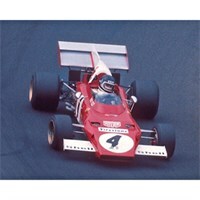 Tecnomodel 1:18 resin model of the #3 Ferrari 312B as driven to victory by Jacky Ickx in the 1970 Mexican Grand Prix. 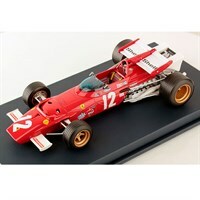 Look Smart 1:18 resin model of the #2 Ferrari 312B as driven by Jacky Ickx in the 1970 Austrian Grand Prix. 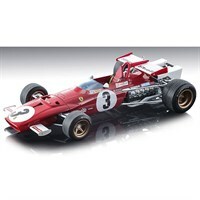 IXO 1:43 diecast model of the Ferrari 312B2 driven by Jacky Ickx in the 1972 German Grand Prix.